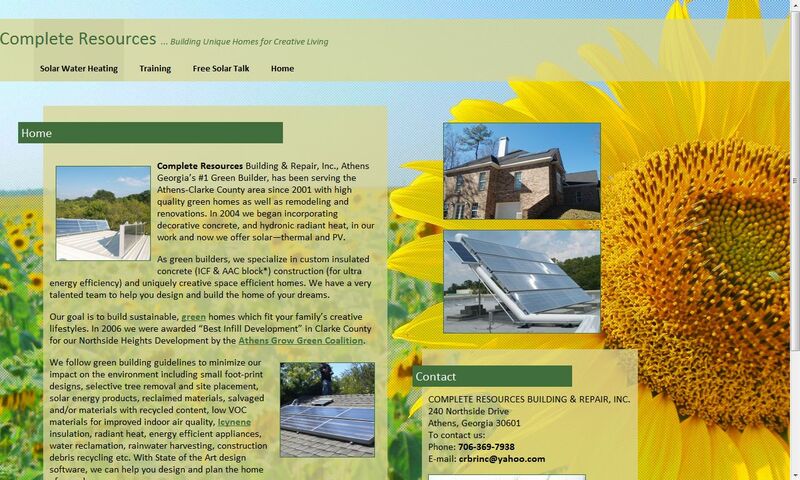 CompleteResources.net is the online home for Complete Resources Building & Repair, an Athens, Georgia based company specializing in Green Building and Solar Water Heating System Installation. 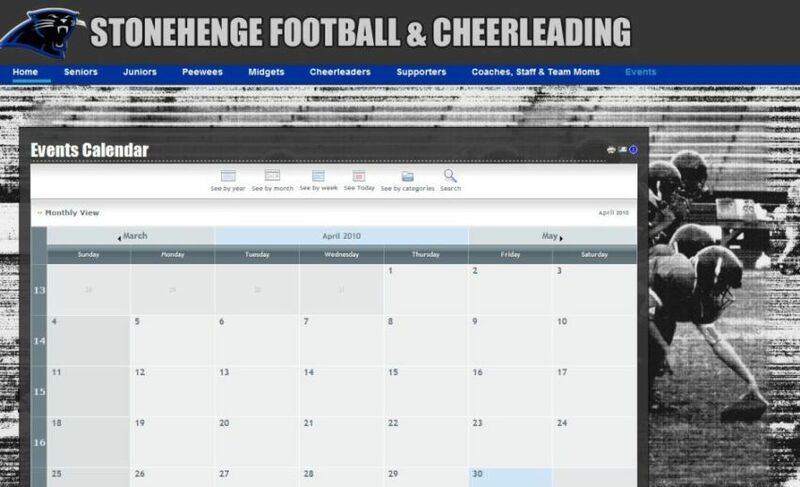 StonehengeFootball.com is the online home for Stonehenge Football & Cheerleading, a part of Stonehenge Youth Association. Stonehenge provides an educational, cultural, and social experience for youth in Athens-Clarke County, Georgia. SoBoNow.com is a robust selling community. 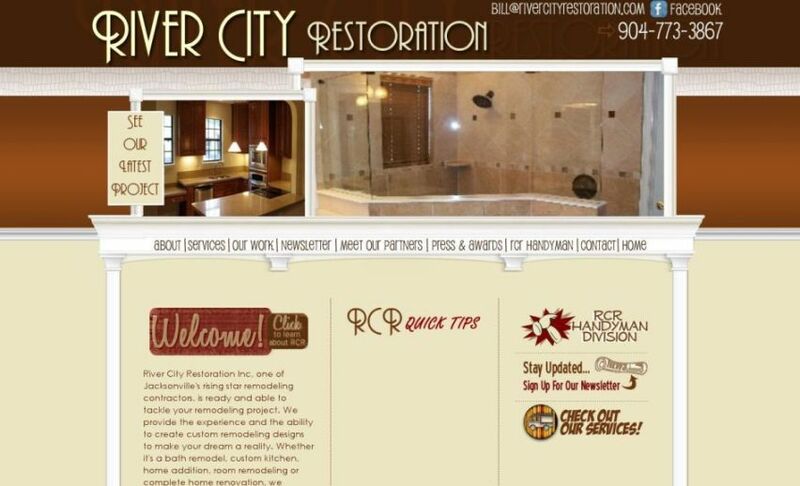 Unlike conventional selling sites, there are no insertion fees or percentage of sale fees for selling an item on the site. 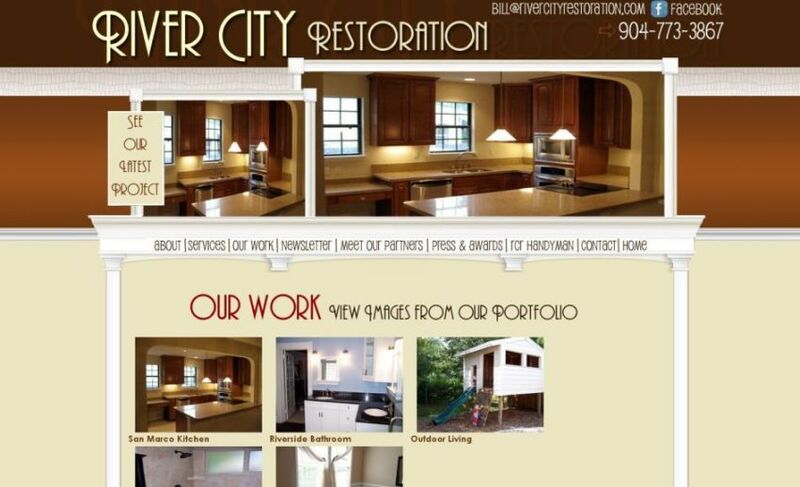 Instead, sellers rent store space, and list as many items as allowed by the size store they choose. Buyers have accounts and pay sellers through PayPal. 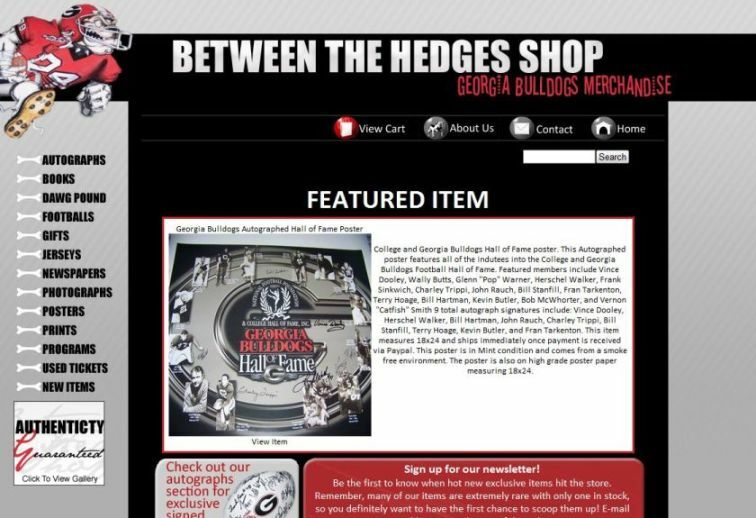 BetweenTheHedgesShop.com is an online store specializing in University of Georgia Bulldogs memorabilia. 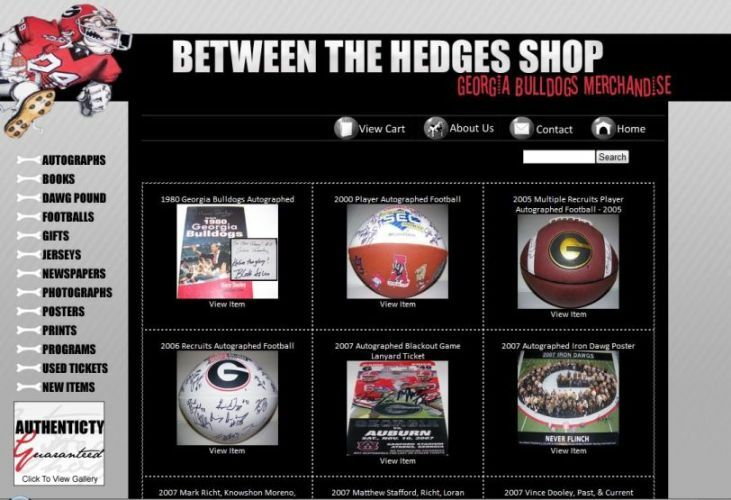 They carry a selection of rare autographed items including footballs, artwork, and books. 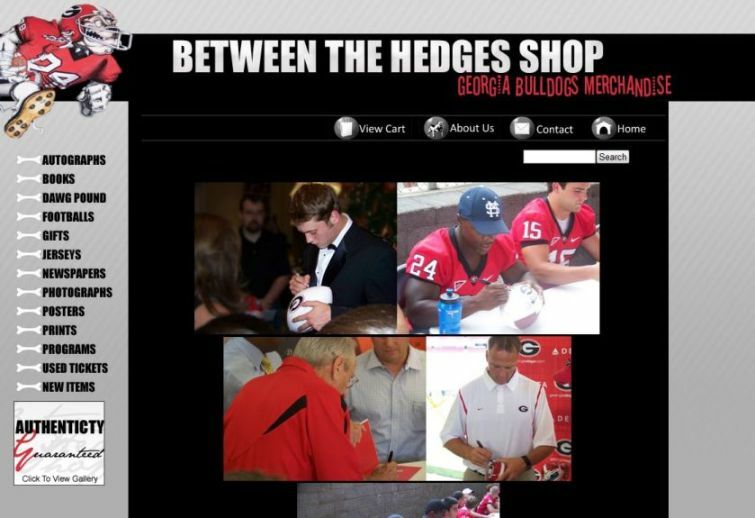 They also carry a large selection of non-autographed items that are perfect for any Dawg Fan's collection!